Looking for a wow factor? A Video Projector Rental in Boynton Beach might be just what you need to make sure your presentation or performance captures the attention of your audience. 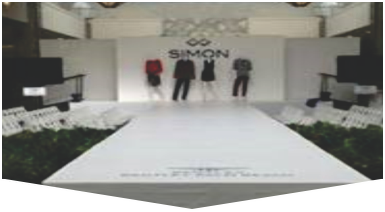 Since 1996, our award-winning event production company has worked closely with a wide variety of clients from small communities and families to organizations and Fortune 500 companies. 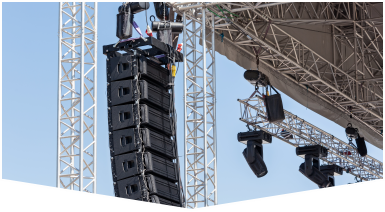 Whether you're hosting a small event or a large festival, indoors or outdoors, we can offer top quality video projectors and other affordable rental packages. Each piece of equipment is carefully maintained and bench-tested to ensure it is in perfect working condition before delivery to your venue for a speedy set up. A video projector rental in Boynton Beach is a smart and subtle way to enhance presentations, meet the needs of any size audience, enable social media and networking, show off assets, evoke nostalgia with slides, or simply improve the atmosphere of your venue with images and lighting. Master Sound Productions is also proud to be a certified retailer for JBL and DAS sound gear. 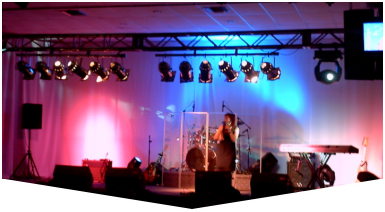 Our licensed technicians can coordinate sound and lighting to go along with your projector. Get in touch today to find out more about our custom staging and get your FREE quote.